Hiring or buying a domestic carpet & upholstery cleaning machine, many of which leave a residue which results in fast re-soiling. Using local stain removers which cannot only remove colour from carpets and a leave a permanent mark around the stain. Using domestic cleaning solutions which leave dirt attracting residues. 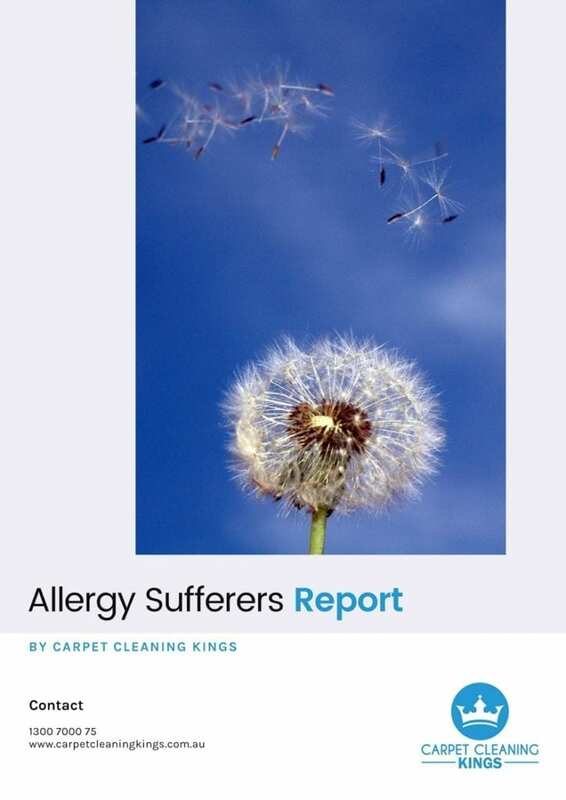 Scrubbing fibres, carpet fibres and wool, in particular, are not meant to be cleaned using a scrubbing motion as this damages the fibres leaving them fuzzy in appearance. Stains Need Special Treatment: Other types of stains don’t react well to traditional methods of blotting, wetting, or steam cleaning. Each stain has their unique ways on how they should be taken care. 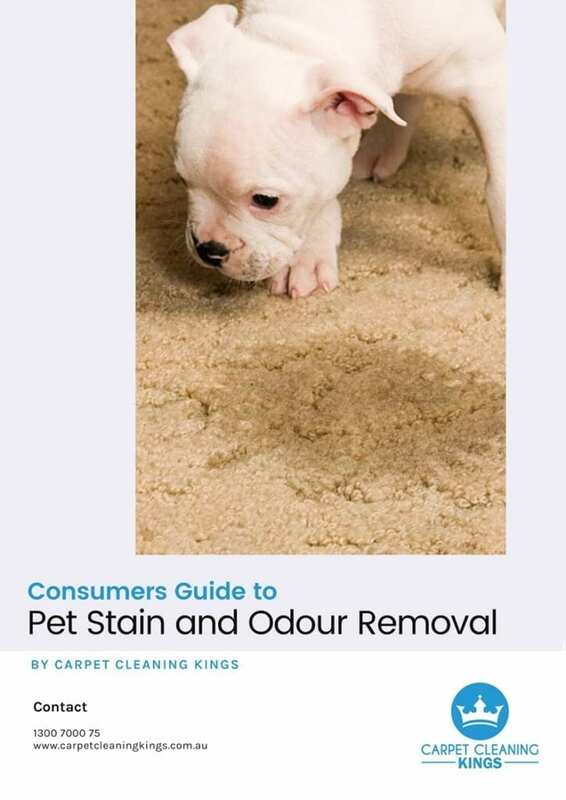 Cleaning Technique Makes a Difference: Professionals have their own techniques, others “Don’t use a steam cleaner when dealing with urine spots because the heat will set the stain and the smell.” For fresh stains, blot as much of the stain away first and then rely on a carpet stain remover designed specifically for pet stains. Work Fast: The faster a stain is being attended, the easier to get rid of it. Deep-rooted, dried stains are difficult to remove than fresh. If possible, attack a fresh stain with a wet/dry vacuum to extract as much liquid as possible. After removing as much of the initial stain as possible, then apply a carpet stain remover according to the product instructions. If you don’t have access to a wet/dry vacuum, use clean absorbent towels. Blot, don’t rub, with the towel. Rubbing the affected area can damage the carpet fibres and spread the stain. Wrong Products Do More Harm: Chemicals such as Hydrogen peroxide may remove stains from various materials. However, it also can discolour those same fabrics. Ammonia is another common household product recommended for stain removal. It’s important to remember that ammonia has a strong aroma that can affect humans and pets. 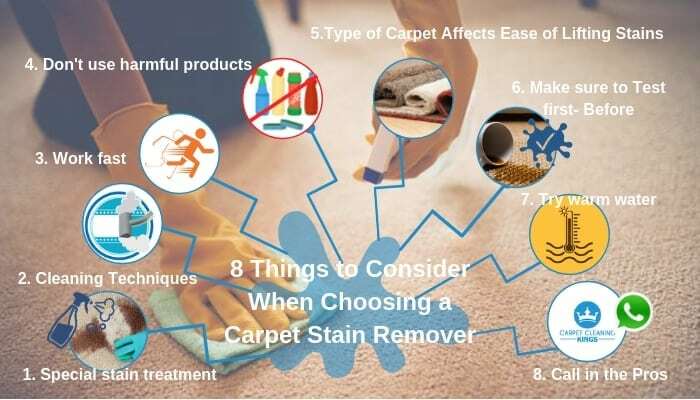 Instead of depending on home remedies, opt for a high-quality, eco-friendly carpet stain removal products. Type of Carpet Affects Ease of Lifting Stains: Stains often sit atop these loops before soaking through, which may make it easier to remove more of the stain through blotting. A multi-level loop carpet, or one that varies the size of the loops, holds more dirt. Spills easily slip through the fibres, making the stain more difficult to remove. Make sure to Test first- Before: It’s always best to know how the particular carpet will respond to the cleaning product and treatment. While it’s often not possible to prevent spills, being prepared for these accidents can make a difference. Keep carpet stain removal products handy and when a spill happens, a quick response can make it easier to treat the affected area. 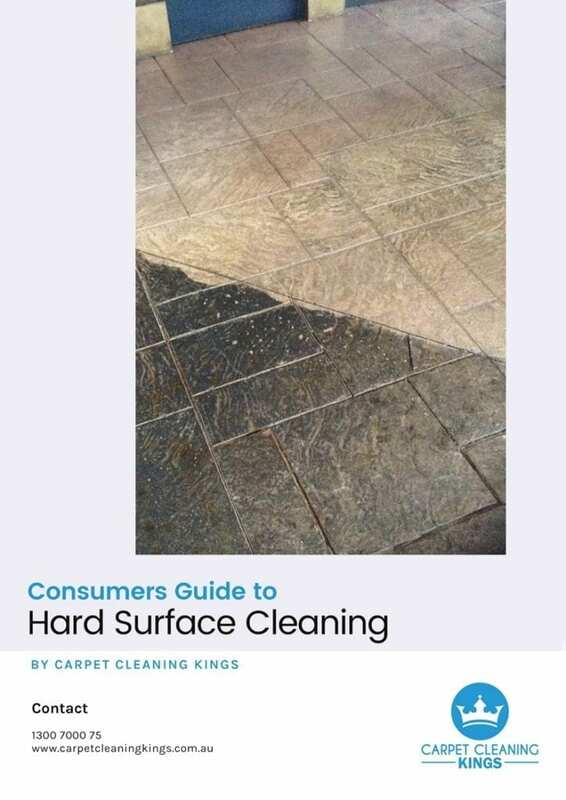 Try Warm Water: Most common carpet stains caused by household food and beverage (not containing strong dyes) can be treated with warm water (not hot) applied to the carpet stain immediately. Dampen a clean cloth with the warm water and blot it onto the carpet, working from the outside in, until the stain disappears. Call the Professional: There are some instances when carpet stain removal home remedies are just not enough to get the carpeting stain-free. This is when a reputable, professional carpet. Entrust the job to a Professional Carpet Cleaning, Armed with the latest carpet cleaning equipment and are well trained, hiring the services of such professional company is a wise investment. There are several methods used by the professional carpet cleaners but the aim of all is the same and that is to remove as much, if not all, of the accumulated dust, grit and general soiling as possible. Regular vacuuming is an important part of housekeeping, but having good equipment and knowledge are essential tools in cleaning the carpet. There are different cleaning methods, the choice depends on many factors– mainly the type of fibre, construction, age, condition, the degree of soiling and the time available to carry out the work. While home remedies do a great job at beating the individual stains when they arise, hiring carpet cleaners is a wise decision. It allows you to give all your carpets a thorough clean as often as you need. We recommend once every year but it may be required more often if you have pets or a big family. Vacuuming and routine cleaning are helpful in maintaining cleaner carpets, but they are simply not enough. Having your carpets cleaned by a professional service is beneficial for many reasons. Contemplating when you can have your carpets cleaned or when do you need to buy a new one? If you have stains that can be worked out with the professional cleaning, you should definitely invest in this service. 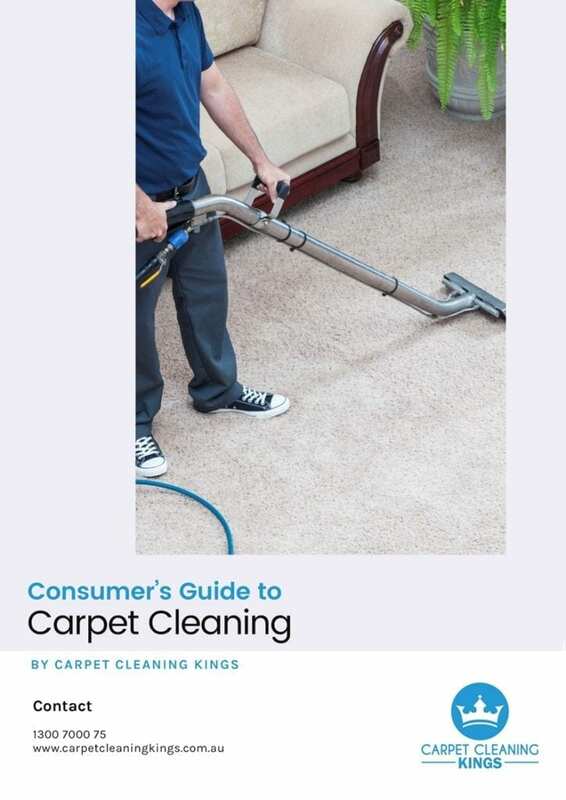 Companies like the Carpet Cleaning Kings can get rid of even tough stains from different stains that are superficial, carpets that are not damaged by flood water and carpets that are free from mould, biohazards or harmful allergens. 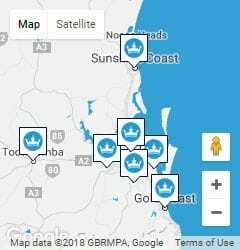 Call us on 1300 7000 75.